Kris Riedell served as the Chief Operating Officer for Alzheimer’s Community Care from January, 2015 to August, 2018. In this capacity, she assisted the Chief Executive Officer in the strategic plan and aggressive and successful growth of the organization. Prior to serving in the role of Chief Operating Officer, Kris served for 6 years as the Vice President of Human Resources. She has over 25 years of human resource and operations experience working in the healthcare, oil and banking industries. 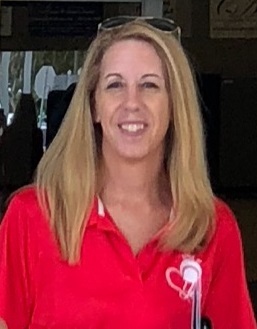 Kris holds a Master of Business Administration from Dowling College, a Bachelor of Science degree in Marketing from Niagara University and completed the teacher certification program at Palm Beach Community College. She is also a member of the Society of Human Resources Management. In her personal life Kris is a mother of 2 boys, the youngest who has Autism. It has been Kris’s goal to bring attention, education and sport programs to those who have disabilities. In 2015, she put together an Autism day in the Village of Wellington. Starting in September of 2018 Kris is taking the League of YES to the the special needs community in Florida.